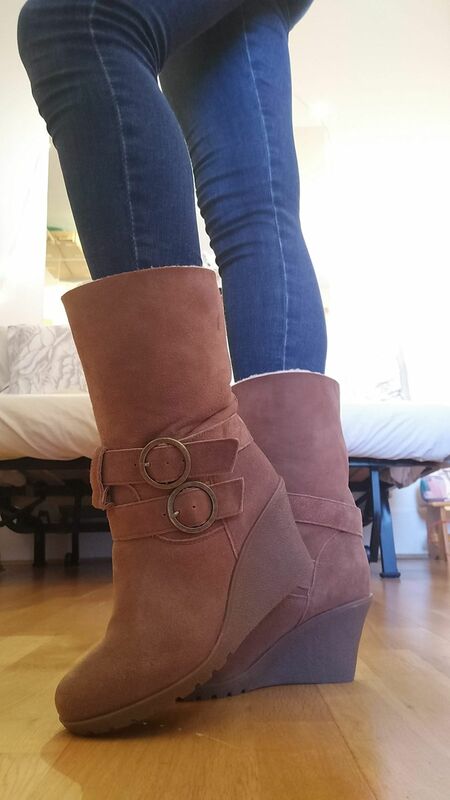 These Australian sheepskin wedge boots feature 100% Australian sheepskin uppers and linings. Featuring a two strap buckle detail which is adaptable to allow the boot to be worn as a mid length or fold over ankle bootee showing the fur lining. The sole is a moulded rubber wedge shape which is both durable and grippy. Available in tan, chocolate and black. Excellent product at an incredible price! They look exactly as described, fit to size, very good quality, fast delivery, would highly recommend. I can’t believe the quality of these boots for the price! They look great and are very comfortable. Please make them in black as well🙏🏻. Very happy with my purchase and would highly recommend them.